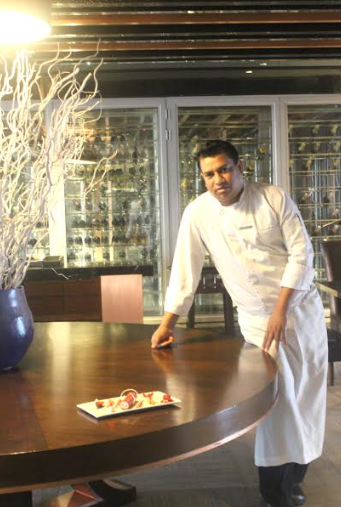 The recent addition to the Hyatt Regency Gurgaon Family, Chef Satish Kumar Sharma has joined As Pastry Chef. He is a dynamic gourmet specialist, with an extraordinary contribution and exposure to the international properties. Sharma had been making creative desserts for over two decades – each more spectacular than the other. Nothing short of pure happiness, his sweets speak volumes about the experience that he has amassed over the years. As the Pastry Chefof the largest convention hotel in Gurgaon, the master baker has been assigned the responsibility to train new recruits of the department, create innovative pastry dishes and oversee dessert preparation. Apart from supervising employees, chef Satish also ensures that sanitation regulations are adhered to in the kitchen. 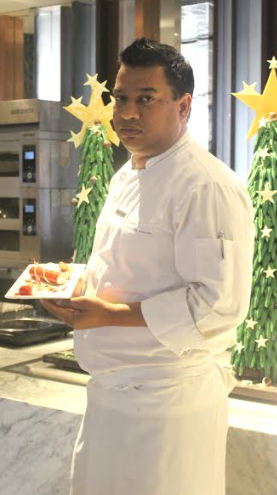 Prior to joining Hyatt Regency Gurgaon Satish worked as Executive Pastry Chef with Kempinski Grand in Russia. He received his industrial training in Bakery and Confectionary from the Ambassador’s Sky Chef in New Delhi. He has worked in some of the finest restaurants in the country before moving to Grand Hyatt, Dubai. Satish continued to be a part of Hyatt family when he moved to Grand Hyatt, Doha which is the second biggest conventional hotel in Qatar. As a Chief Baker he was responsible for improvisation of breakfast and the pastry shop. He also underwent various training modules of Hyatt International and has also been certified as departmental trainer by Hyatt for baking and pastry making. In India, Chef Satish had remarkable achievements with being a part of luxurious Park Hyatt, Chennai as the Pastry Chef and was an integral part of the launch of its popular dining destination –The Flying Elephant. He was also a part of Hilton, Gurgaon as a Pastry Chef. Hyatt Regency Gurgaon is the first Hyatt property to open in Gurgaon and is the largest convention hotel in the city. The hotel houses the largest meetings and events space of over 40,000 sq. ft. and the highest inventory of 451 well-appointed spacious guestrooms in the city. The hotel is strategically located off the Delhi-Jaipur National Highway 8 and is a 40 minute drive from Indira Gandhi International Airport. The hotel offers multiple dining options like Lavana, the signature restaurant serving authentic Awadhi cuisine, The Lounge, the perfect place to unwind with its comfortable and relaxing ambience, The Long Bar, a stylish and casual bar and Kitchen District, featuring five open kitchens which work in harmony to form a unique culinary experience. There are also a number of recreational services available at the hotel including the Shvasa Spa, the fully equipped fitness centre and the relaxing outdoor pool.